Evoke laminate flooring is wherebold, meet beautiful. Classic, meet contemporary. Practicality, meet personality. Say hello to the most eclectic laminate flooring collection you're ever likely to meet: From European styling to vintage finishes, these aren’t just laminate floors; they’re personalities that you’ll love to walk all over. Evoke Laminates are rich in character: Some down to earth, some with a sophisticated polish. Whether your tastes are modern or vintage, you’ll click with one of these characters. 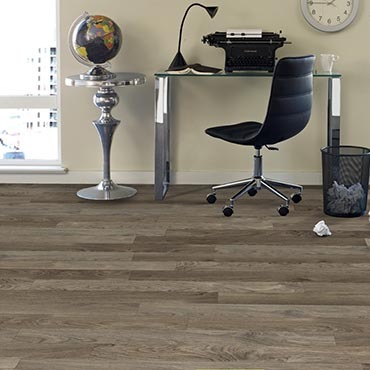 Evoke has a laminate floor for every taste, every room, and every budget. Choose from a stunning selection of premium quality laminate. They're all premium quality, with best in class features and warranties - and style to spare! Some laminates are familiar, and others are new, but each can work a room. So if you’re looking to find a sole mate, this is a step in the right direction. They’re all here: the artists, the trendsetters, the well traveled. But they don’t need us to tell you their life story. Laminate floors with this much personality can speak for themselves. So come on in and get acquainted!